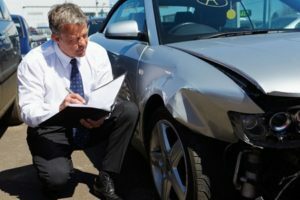 car damage | Car Couriers Inc.
You drop your car off with a car transportation service, but when you pick it up it has a dent, scratch or both in it. The representative you speak with claims he has no clue what happened and tells you to file a claim with your insurance company. Where do you go from here? First off, you must know the transporter is wrong and, in many states, there are laws in place to even help you pin the transporter with the liability. The Garage Keeper’s Liability Act in Michigan, for example, holds liable anyone in possession of your vehicle for damages. This applies to anyone in possession of your vehicle, including transportation services. What this litigation does is shift the burden of proof in a situation where you give your car to someone else under certain circumstances affording you an extreme advantage. And if the keeper of your vehicle can’t prove they were not negligent, they had better have insurance because car repairs are not cheap. These rules apply to repair shops, parking lots car transporters and any other proprietor you give possession of your car. The law presumes the damage was the result of the keeper’s negligence because it usually is. This regardless of any signage they may place on their establishment claiming they are not responsible for lost or damaged items, because they are. But making sure they are a legitimate organization with legal protections is imperative in the event there is damage, so do your research.